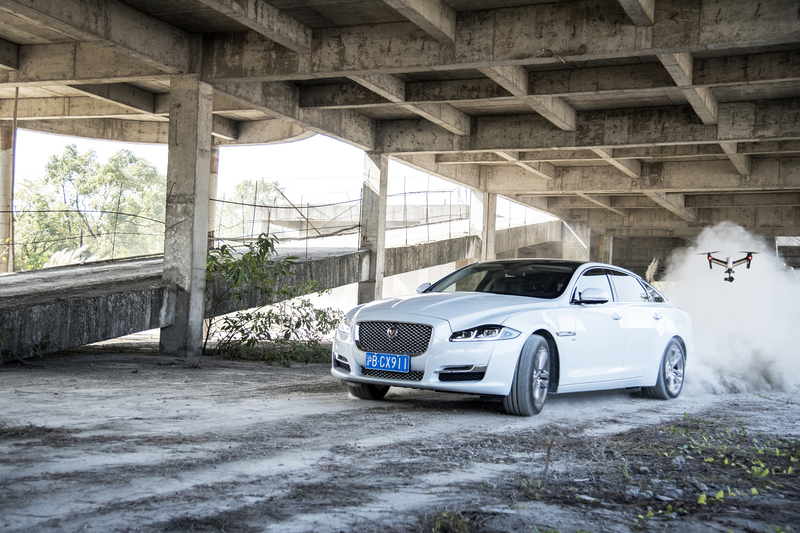 Why chase a Jaguar XJ with a highly-advanced drone? Mainly, because it’s cool! Then, as a project meant to prove that today’s drone technology is very appropriate for filming car-chase sequences in the future movies. The recipe is simple: take one of the most skilled stunt driver, add a top drone pilot and give them two of the best product available on the market. Though it’s not obvious at a first sight, the cars and drones share many features and the main purpose: to highly develop the autonomous drive or flight technology. Both category of vehicles use on board cameras and radar sensors to move through obstacles, therefore are currently used at all kind of deliveries. The perspective of a race with a top-technologized drone made the stunt driver and rally champion Mark Higgins immediately accept the challenge. He was also especially thrilled to take to the limit an XJ, because of its luxurious characteristics, therefore not being the most race-oriented of the Jaguars. However, the video shows us a highly-maneuverable luxurious car, which is able to sneak where we couldn’t thought it’s possible. The chase took place on and around the Zhuhai International Circuit in China and allowed the racer experiment various kind of roads, including a shipping containers area filled with narrow gaps, pit garages and wide boulevards. The drone pilot, JaeHong Li was also very confident with the future of the drone technology in the movies containing chasing cars scenes, finding the DJI Inspire 1’s accuracy exceptional, but, like in the XJ’s case, being aware that there are other faster models on the market. However, the best-in-class’ stabilizer of the camera contributes to the best film watching experience. Enjoy!